Samajwadi Party patriarch Mulayam Singh Yadav praised Prime Minister Narendra Modi during his speech on the last day of the current session of the Lok Sabha. Yadav said he would like to see PM Modi re-elected to the office again. “The prime minister has made efforts to take everyone along. I want all the members to get elected again and you (PM Modi) become the prime minister again,” said Yadav. 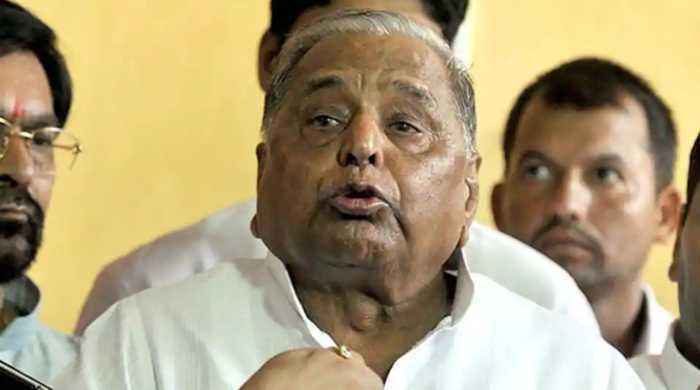 Mulayam Singh Yadav’s comments have come at a time when his son and SP president Akhilesh Yadav is trying to cobble up an opposition unity to defeat the Modi government in the upcoming Lok Sabha elections.